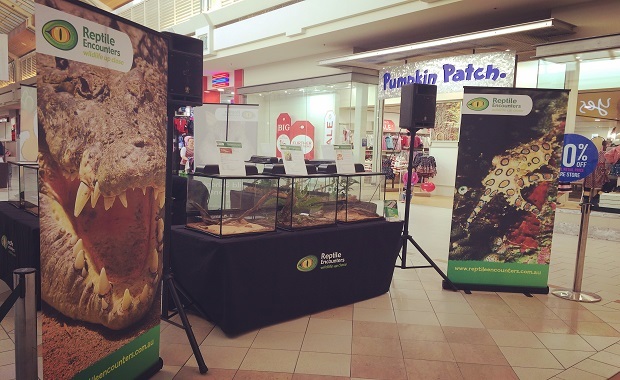 What better way to bring in huge crowds for your next store opening or special event than with the amazing animals from Reptile Encounters? Parents are always looking for ways to entertain their children in the holidays and our shows are the ideal drawcard. We regularly perform engaging stage shows with magnificent displays that are perfect for shopping centres around Melbourne. The whole family will love our shows! 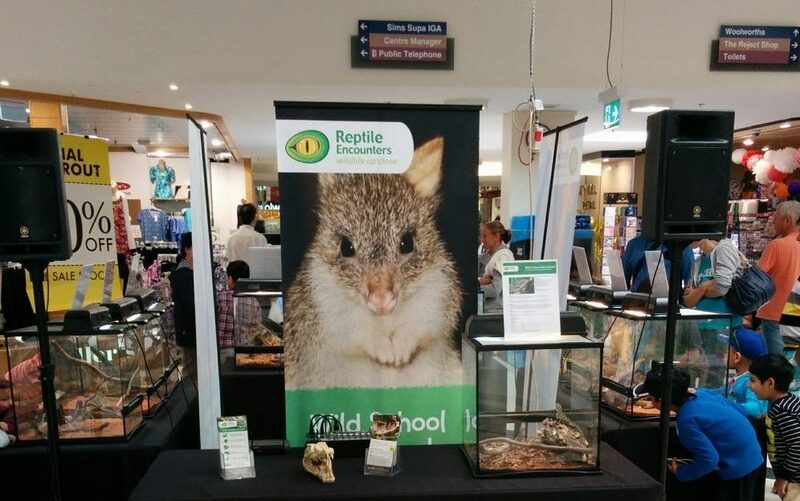 Reptile Encounters moves from classrooms into Shopping Centres around Melbourne each school holidays. Our fun, hands-on Stage Shows are the perfect solution for your school holiday entertainment. Families will flock to your centre to get a glimpse of our amazing animals. They’re a guaranteed hit! Reptile Encounters Wildlife Ambassadors love getting on the mic and talking about our native animals. Learn why a crocodile has a third eyelid, a snake sheds its skin and much, much more. 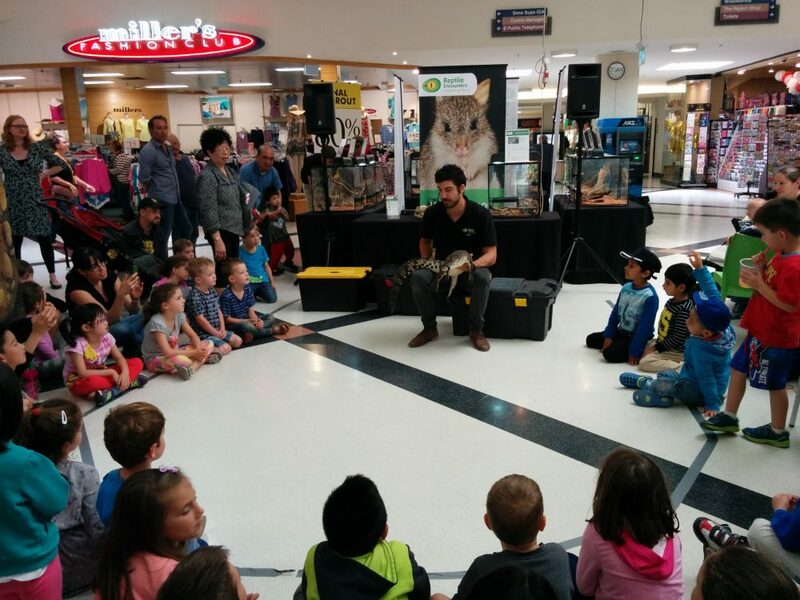 In between shows the Reptile Encounters crew can mingle with shoppers around our striking Static Wildlife Display with our friendly Roving Animals. Imagine the reaction! Want to have some serious impact with your store opening? The Reptile Encounters team love to add spice, class and serious fun to your special event. Invite people into the new space with a Static Wildlife Display of unique Australian fauna. Add some special guests with Roving Animals featuring saltwater crocodiles, giant pythons, gorgeous owls, and cuddly marsupials create an additional level of excitement to your store opening! Want to get people raving about your next event? There is no better way than to invite the talented Reptile Encounters crew and their friendly Australian Animals! We will add that little extra “X” factor and give people an experience they will never forget. If you have any ideas please contact us – we will be more than happy to discuss your specific needs.